Learn the truth about Quicken Property Management software 2015 today. Our Quicken Property Manager review shall show you whether it is worth buying. While Quicken Property Management Software does come with respectable accounting features, it falls short where it really matters: rental property features for landlords and property managers. 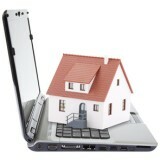 One important reason for buying a property management software is for the rental reports it is able to generate. If executed well, these reports can be invaluable for analyzing the health of your rental business. Sad to say this is one area where the Quicken is seriously lacking - It produces just 4 measly reports, half of which are tax reports. Compare this with another popular property management software such as LandlordMax, which churns out over 100 helpful reports (complete with bar graphs) that paint a complete picture of your rental business at a glance. Pushing on with our Quicken Property Management Software review, we find that the "Rental Property" tab (which stores all your property and tenant details) is too basic to be useful. They only allow you to enter the bare-bones information such as personal particulars for tenants and addresses for properties. An Excel spreadsheet can do better than that. Worse still, there is no way for you to insert additional notes and details... and you can certainly forget about uploading pictures and documents such as tenant photos or bill receipts to it. At the end of the day, Quicken's overall features are limited to basic accounting, data storage and reminders. For people with more properties or those wanting to make their lives even easier, other property management programs like Buildium offers much more, including running tenant credit checks, accepting rent online or even advertising vacant properties. Quicken is one of the those software where new versions and updates actually do more harm than good. What was once a clean, well-designed and newbie-friendly program (way back in Quicken Rental Property Manager 2.0)... has deteriorated into a cluttered software with weak property management features. Perhaps this is a sign that Quicken should just stick to making personal finance software, and leave property management software to companies that understand the needs of landlords and property managers better. It's not to say that Quicken Property Manager is a piece of junk - It's just that for the same price, you can be getting so much more with other rental property software. That's why we no longer recommend Quicken Property Management Software to landlords or property managers. Click Here for Our Full Buildium Review. Click Here for Our Full LandlordMax Review.